The courtroom drama is heating up between Mozilla, Yahoo Holdings and Oath. Yahoo, which is now owned by Verizon, filed a lawsuit for breach of contract against Mozilla on December 1. 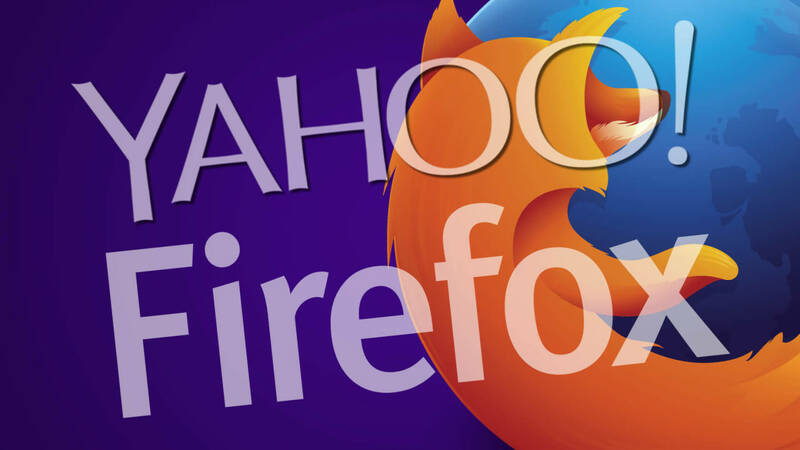 Yesterday, Mozilla filed a countersuit against Yahoo. The whole dispute started with the release of the newest version of Firefox. When Mozilla launched Firefox Quantum, it also announced that the default search engine in the United States, Canada, Hong Kong and Taiwan would be Google. Mozilla additionally changed defaults for other countries as well. Russia and other nearby territories now default to Yandex and in China, it has switched to Baidu. Of course, Yahoo did not like this. In 2014, it had entered into a deal with Mozilla to be the default search engine for five years. Venture Beat reports that Yahoo saw its search volume grow to a five-year high shortly after signing the deal. It was a good move for the search provider — at least, it was until Verizon came along. In 2016, Verizon entered into acquisition talks with Yahoo. In the midst of the negotiations, some fine print in the Mozilla / Yahoo contract surfaced. According to Recode, there is a clause in the agreement that states that if Yahoo is acquired by another company during the term of the contract and Mozilla does not like the new partnership, it can walk away from the 2014 agreement. Otherwise, the acquiring company would have to pay Mozilla $375 million per year through 2019 to keep the contract. Mozilla did not feel that Verizon was a good match and decided to scrap the deal. Yahoo does not want to lose that sweet search volume it has been getting so it did the only thing it could to retain it — sue. While the claims in Mozilla’s filing have been redacted, it is clear from Mozilla’s official statement that this umbrella clause will play a key role in the countersuit. On December 1, Yahoo Holdings and Oath filed a legal complaint against Mozilla in Santa Clara County court claiming that we improperly terminated our agreement. On December 5, Mozilla filed a cross-complaint seeking to ensure that our rights under our contract with Yahoo are enforced. We recently exercised our contractual right to terminate our agreement with Yahoo based on a number of factors including doing what’s best for our brand, our effort to provide quality web search, and the broader content experience for our users. Immediately following Yahoo’s acquisition, we undertook a lengthy, multi-month process to seek assurances from Yahoo and its acquirers with respect to those factors. When it became clear that continuing to use Yahoo as our default search provider would have a negative impact on all of the above, we exercised our contractual right to terminate the agreement and entered into an agreement with another provider. The terms of our contract are clear and our post-termination rights under our contract with Yahoo should continue to be enforced. We enter into all of our relationships with a shared goal to deliver a great user experience and further the web as an open platform. No relationship should end this way – litigation doesn’t further any goals for the ecosystem. Still, we are proud of how we conducted our business and product work throughout the relationship, how we handled the termination of the agreement, and we are confident in our legal positions. We remain focused on the recent launch of Firefox Quantum and our commitment to protecting the internet as a global public resource, especially at a time when user rights like net neutrality and privacy are under attack. Mozilla looks to be in a very firm legal position here and has already demanded that Oath hand over $750 million to retain the contract. Future proceedings should prove interesting. Lol poor Yahoo. As a tech, I change all default search engines to Google shortly after installing anyways. I love the improved Firefox, but they got a little aggressive with the latest update (57.0.1). Normally updates retain your custom settings, however this latest update removes your choice of search engine and sets Google as the default search. I had to manually set Startpage once again as my default search. Reehahs and JaredTheDragon like this. That's a wonderful and terribly original idea. How come nobody thought of that first? Mozilla should have gone with Google in lieu of Yahoo. You should be their new CEO. I accidentally left my workstation on auto-update for Firefox, and FF 57 rolled through overnight and really messed me up for a day or so. A bit of research and it's now running better than ever, and even more fluid and useful than my FF 56-laden machines at home. Sure, I miss some of my add-ons but they're slowly being replaced, and so far the replacements are even better. I miss Classic Theme Restorer but you can do almost all of that with the customization of the new Firefox anyway. And most of the new extensions are really sweet and fluid, so it just takes some getting used to. It's much faster than anything else currently though not as nice on memory as I was hoping; but still cleaner than Chrome or FF 56, by far. Reehahs, MaXtor, Capaill and 1 other person like this. FF 57 is a real memory hog. I have 4 tabs open and Task Manager is showing 6 firefox processes using a total of over 1GB of RAM. My next largest process is Outlook using 170MB. I installed one extension - New Tab Override - so I can make my homepage open by default in a new tab. And yes, Mozilla seems to have that contract locked down tight - how could Yahoo think they could sue while that contract exists? I switch to firefox on my phone recently and have bean happy of it. Appearance Mozilla not happy because verizon fights net neutrality and think doing business with them is not in their best interests. Seems Mozilla had given them that right in the contracts. Sorry verizon-yahoo, but I don’t think you have a case. Because they thought they might be able to win for less than $750 million in legal and court fees. It seems like FF 56 and lower also used around 1GB even with a few tabs open. My email, CGTalk, this site maybe. But it didn't really thread very well, even with the multithreading turned on. However, open those same usual tabs of yours in Chrome and compare directly. I'll bet they're not much better. One difference is that these various FF processes all have separate access to the CPU and GPU, so multi-threading kicks in and really speeds things up. I don't have numbers myself, but it sure feels snappier. Many of my WebGL apps work smoother, hit the GPU harder than before as well. It seems like FF 56 and lower also used around 1GB even with a few tabs open. My email, CGTalk, this site maybe. But it didn't really thread very well, even with the multithreading turned on. I sit corrected. Of course it depends on your tabs, and I tended to run ten or more add-ons back in the day, but it looks much better. Can you post your same-tab comparison with FF 57?